On this Monday, Youtube announced to launch its app targeted for kids. The app would offer enumerable legit episodes based on TV shows as well as child centric videos from famous Youtube channels. Moreover, the application would enable parents to set a timer so their spawn may not get carried away. 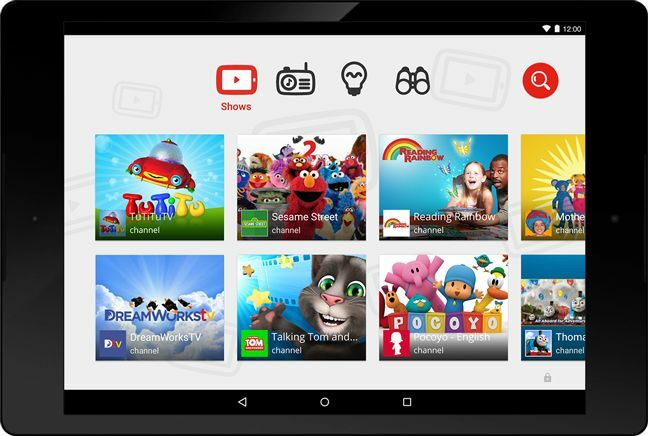 Youtube Kids will be different in nature from the original Youtube app because its features are oriented only for children. Furthermore, the app will only be available on android platforms at first but will move towards iOS and others’ judging by the reaction and results combined. This app is specifically designed for young children with a clean layout, scrolling is minimal and bulging large icons to give it a friendly UI. 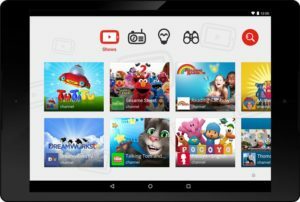 Large tile icons cover the screen which feature only four basic options – music, shows, explore and learning which enable kids to browse through several videos and TV shows. Among the approved content by Youtube, Families can also search from the list of National Geographic Kids, LeVar Burtton’s Reading Rainbows, Thomas & Friends as well as the Puppetmasters at the Jim Henson Company. 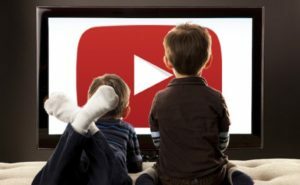 Videos on Youtube which are aimed for children have a 200 percent growth compared to other videos on the website, with a 50 percent growth over the years. The main emphasis to put this app in operation was privacy of kids who are under 13 years old. Hence, parents are to be informed of all the details and data which are to be collected via children. There has been no news and of how Youtube will benefit from this in terms of profit, since featuring ads in the app is still under discussion. But Youtube has other plans to earn, like segmenting its categories and charging a subscription fees. For instance, the Youtube Music Key which was announced last November and runs in the beta phase currently. This is it for now folks, what do you guys think about this Kids Youtube app, is it really helpful? Let us know!